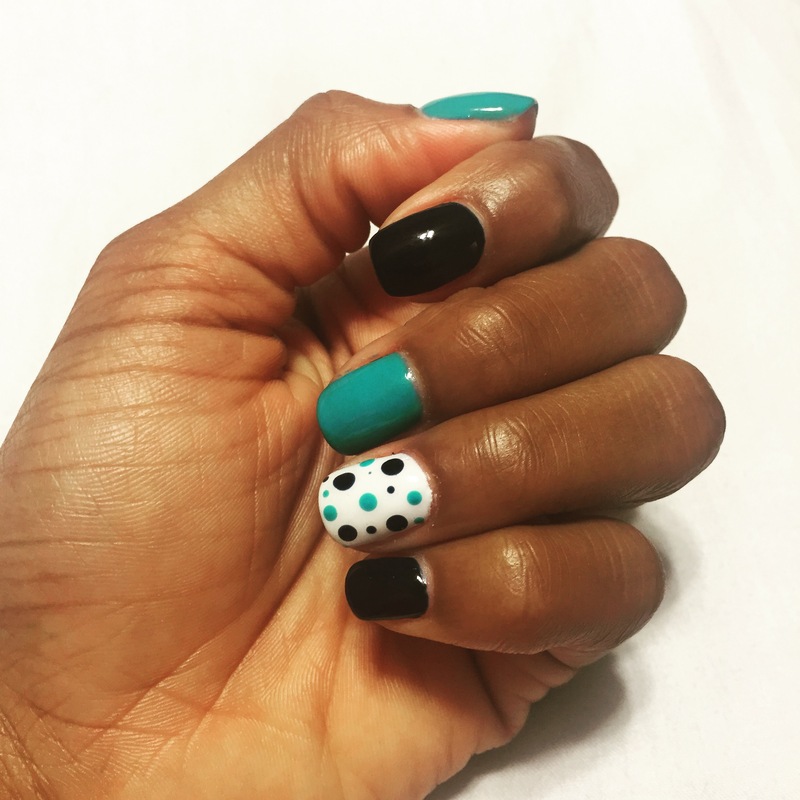 Check out my latest mani courtesy of Lotus Nail Bar and Spa in Madison–I love it! The color combination and whimsical polka dot accent are perfect for transitioning from spring into summer. Recently “spotted”: fun spring colors and a cute polka dot design!